Mochi are like no other cake I’ve ever tasted. At first I thought I didn’t like them, with their chewy jelly exterior and smooth paste interior, that’s just not as sweet as I’m used to in my sugar spiked desserts. However once you get past your preconceptions of what a cake should taste and feel like, you’re going to love Mochi. I can guarantee it. The first time I experimented with Mochi was on a food adventure around Hong Kong. (Although they are a traditional Japanese sweet treat.) My friend Bobo and her Mam took us on a whistle stop tour of the real Hong Kong. Rolling from Dumpling Soup and Dim Sum, to Duck and Eel banquets. Sampling Chinese Milk Tea, Egg Tarts and Pineapple Cakes and everything in between. Including impressive dry ice tapioca desserts presented with a flourish of icy smoke clouds. This was my kind of trip! Although I must admit I didn’t manage to eat noodles for breakfast. A regret I still carry with me today. Unfortunately I’m much more of a tea and toast kinda gal! But Mochi were something else. Deceptively bland on the outside in their floury cloak. When you tentatively choose your mochi you immediately realise how soft and squidgey they really are . 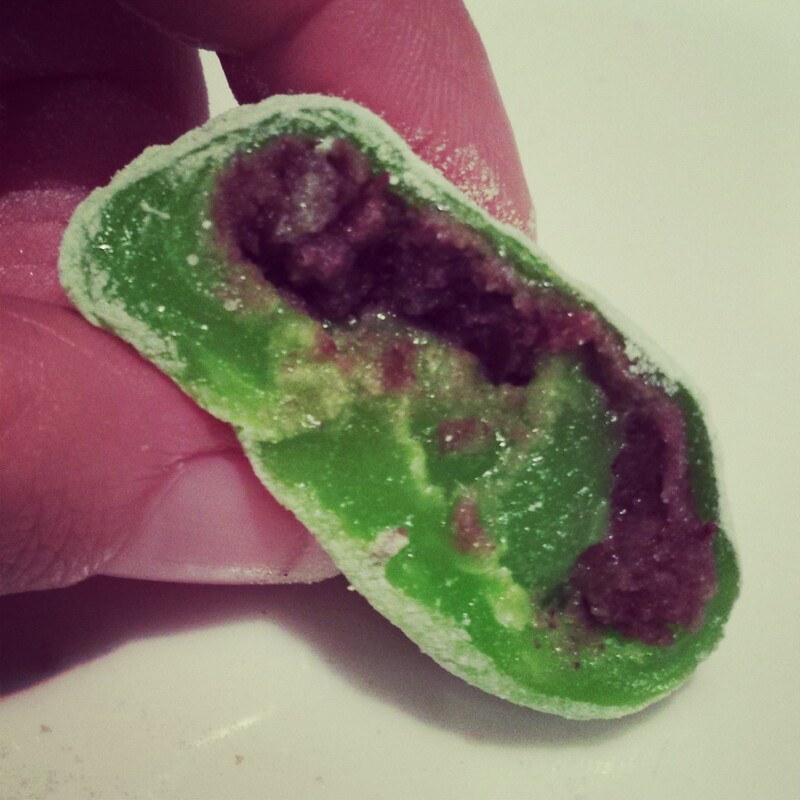 Take a bite and there’s a perfect balance of sweet bean paste to rice gel dough. I always thought that Mochi would be difficult to make at home, when in fact they are possibly one of the quickest bakes I’ve ever made! The assembly is the trickiest bit and even then it’s a bit like playing with Play Doh so it’s actually quite fun! 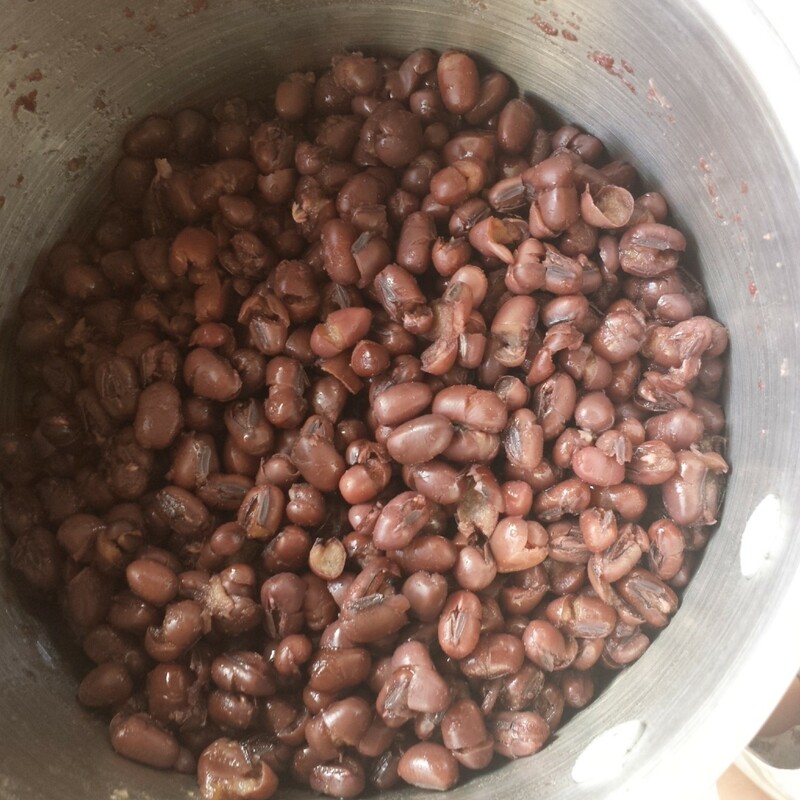 You do need to plan this one in advance if using dried aduki beans. You must soak them overnight in cold water. Change the water the next day, then bring them to the boil and simmer them for 2 hours. Once they are tender they’re ready to make into a paste. I didn’t realise that you’re supposed to remove the skins by passing them through a sieve, so I ended up with rather more textured paste than some Japanese confectionery would use… This is called Tsuban (red bean paste). 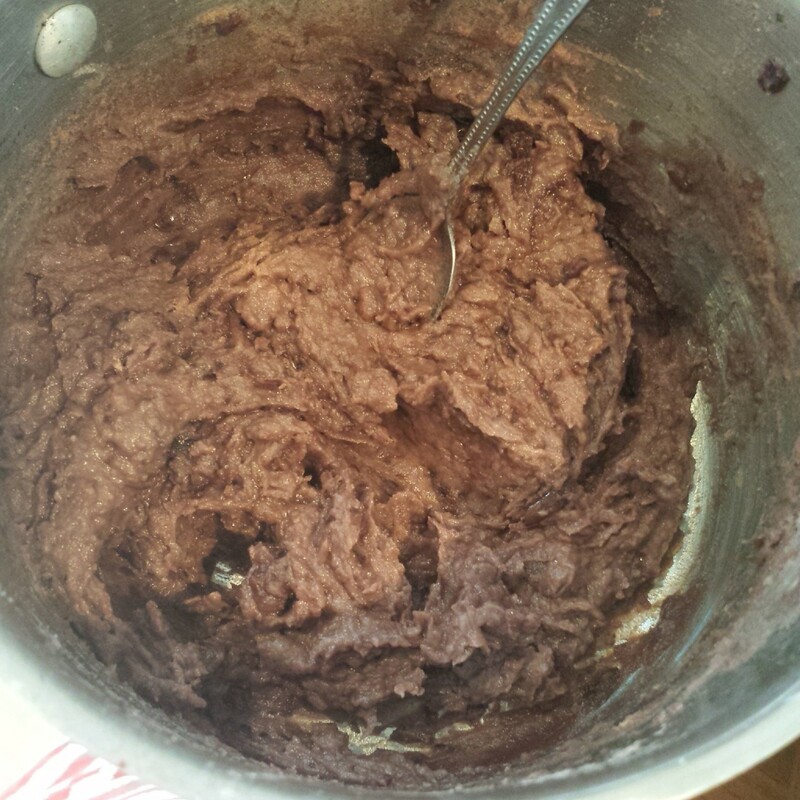 If you sieve your beans you’ll end up with smooth Koshian paste. Once you’ve mastered Anko making, you can use it to fill lots of other Japanese desserts such as Dorayaki (Japanese Red Bean Pancake) or Red Bean Ice Cream (I’m adding these to my list right now!). Once your beans are tender, drain the water and stir in the sugar. Then add a splash of water (half a cup) and allow to simmer . As the water evaporates the paste thickens. When you can draw a line along the bottom of the pan with a spoon the paste is ready. Allow it to cool and blend with a hand blender to a smooth paste. If you make too much you can freeze it for future use. Technically this is a non-bake bake. You only need to microwave the glutinous rice flour, sugar and water for 3 minutes 30 seconds to produce a wonderfully gelatinous dough! 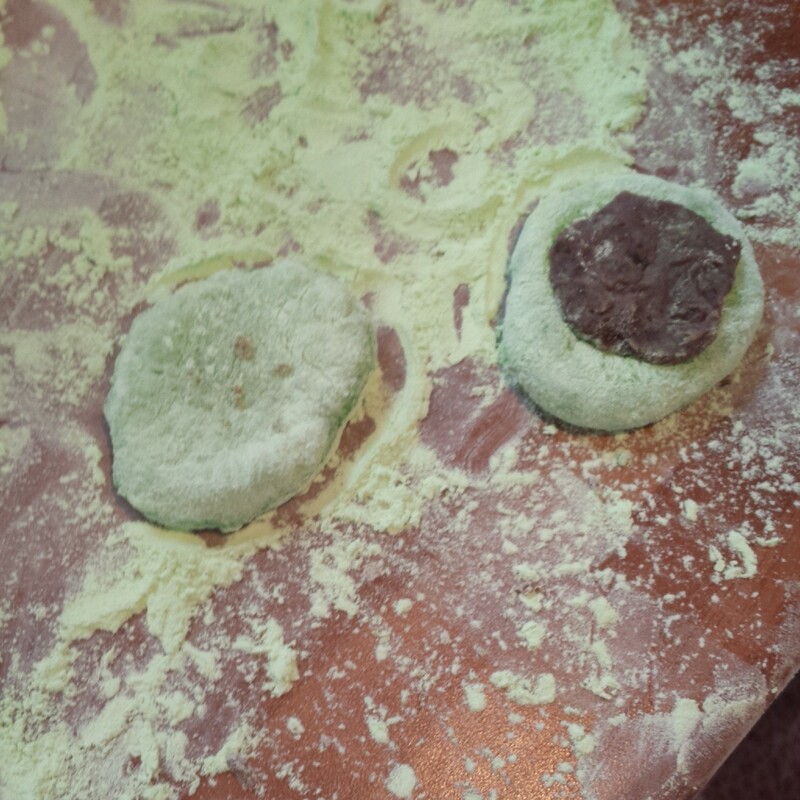 It’s amazing how many Mochi you can eek out of the small amount of flour, water and sugar. The very hot and thick gel dough. You can see my fingermarks where I tried to remove the piping hot dough out of the bowl with my bare hands. Be careful! 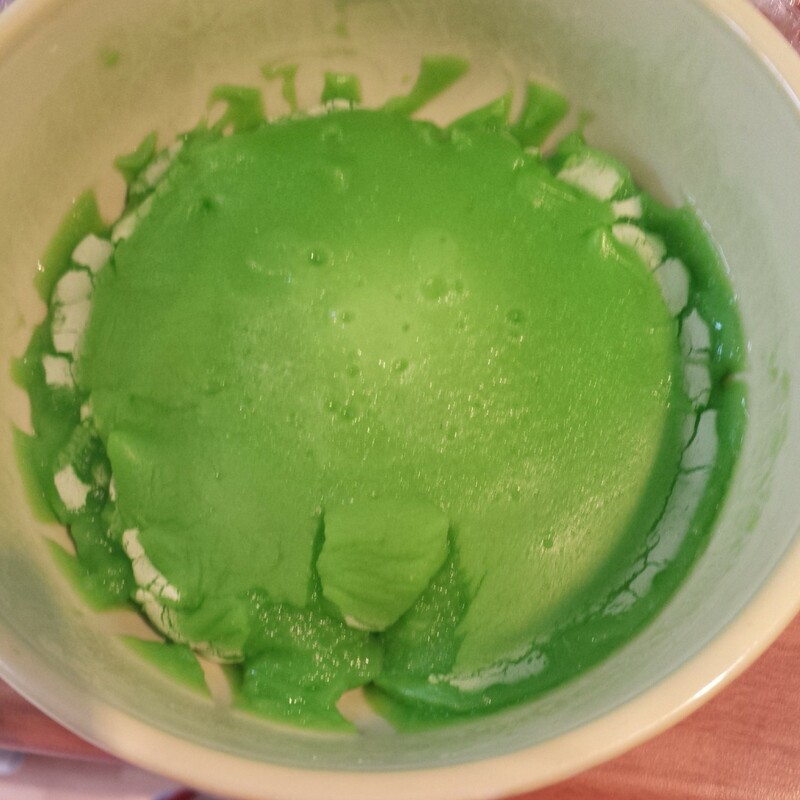 Sift one cup of glutionous rice flour (I used my left over Pandan flavoured flour from my Pandan Chiffon Cake. It’s got to be glutinous rice flour as this is the sticky kind. It’s still gluten free despite it glutinous qualities. 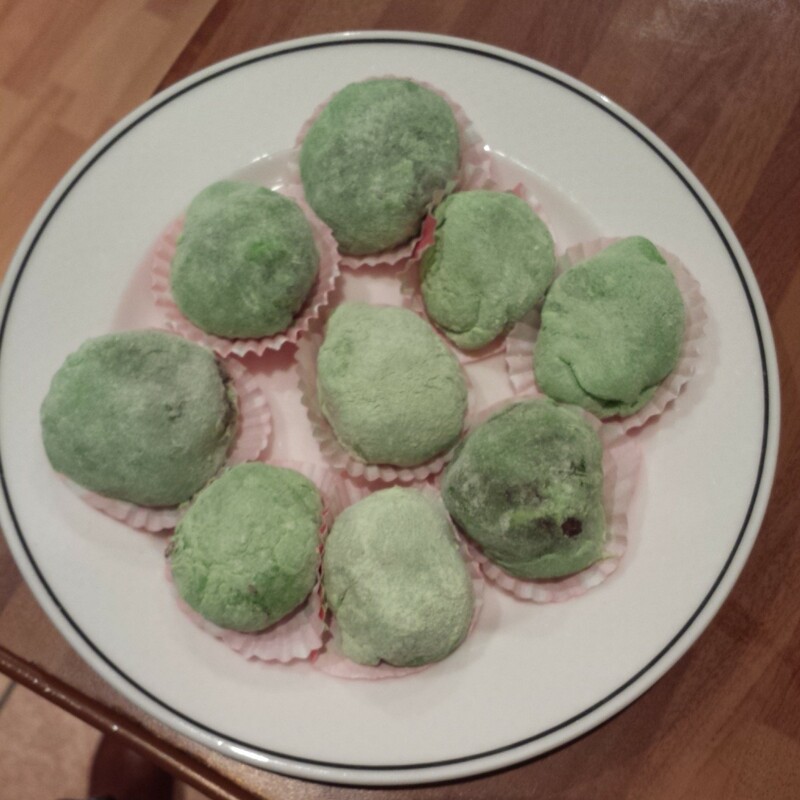 ), followed by 1/4 cup of sugar, 2 tsp of matcha green tea powder, and 1 cup of cold water into a microwave safe bowl. Whisk gently until you have a very smooth thin batter. You could choose other flavourings or colours such as jasmine, taro or coconut. Add your preferred flavouring before cooking! Cover the bowl with cling film and microwave on high for 3 mins 30 secs. The dough will thicken and inflate. Check it and then microwave for a further 30 seconds if it needed to be a bit firmer. 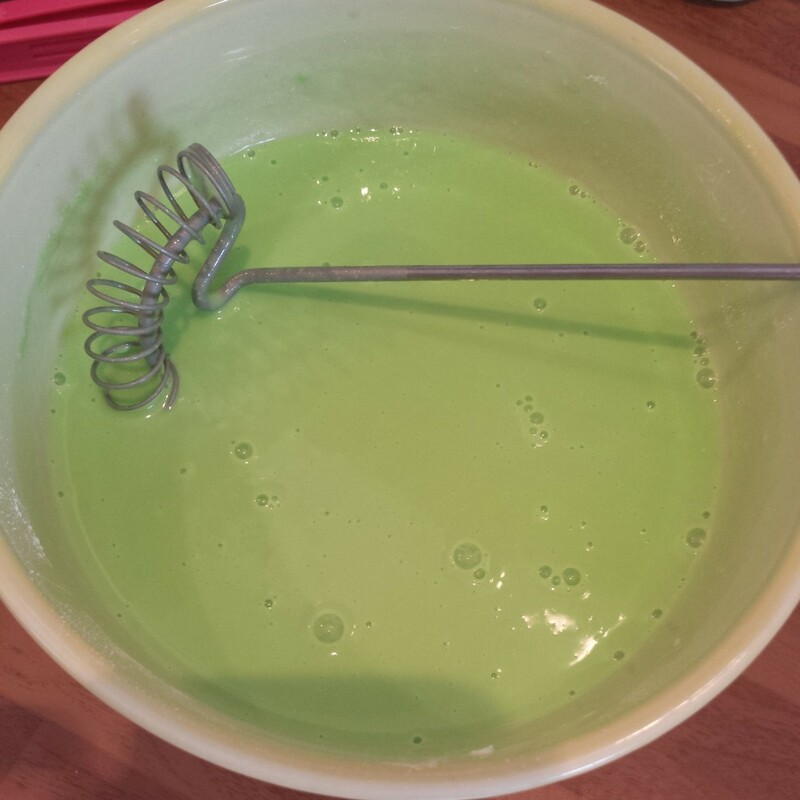 Et voila you have a extremely green jelly dough ready to shape! IT WILL BE VERY HOT when you take it out of the microwave! Most recipes tell you to shape it whilst it’s hot. I can assure you it’s much easier to work with when cool and less likely to sizzle your hands, so be careful. Dust your worksurface with rice flour (other recipes say to use potato starch or cornflour, but as I had rice flour to hand I used that and it was fine.) You’re going to want to dust your hands too as the jelly dough sticks to everything! Mine was a vivid green so it looked like I’d been slimed. 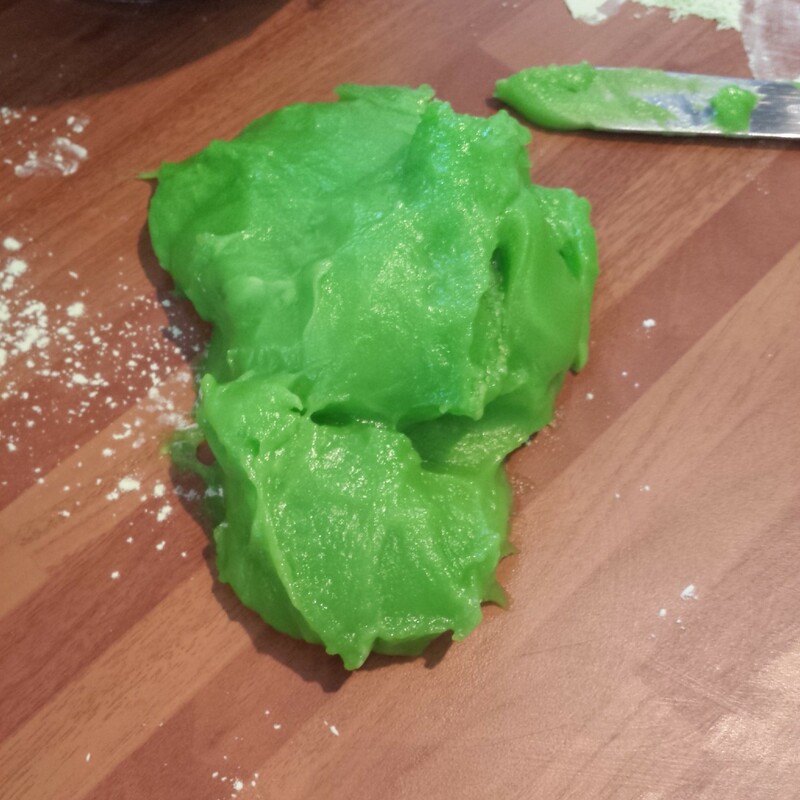 I’m still finding green goo in my kitchen… Take a small amount of dough (about 1cm x 5cm) and flatten it out using your finger tips on the worksurface. Press it into a round shape about 3mm thick. 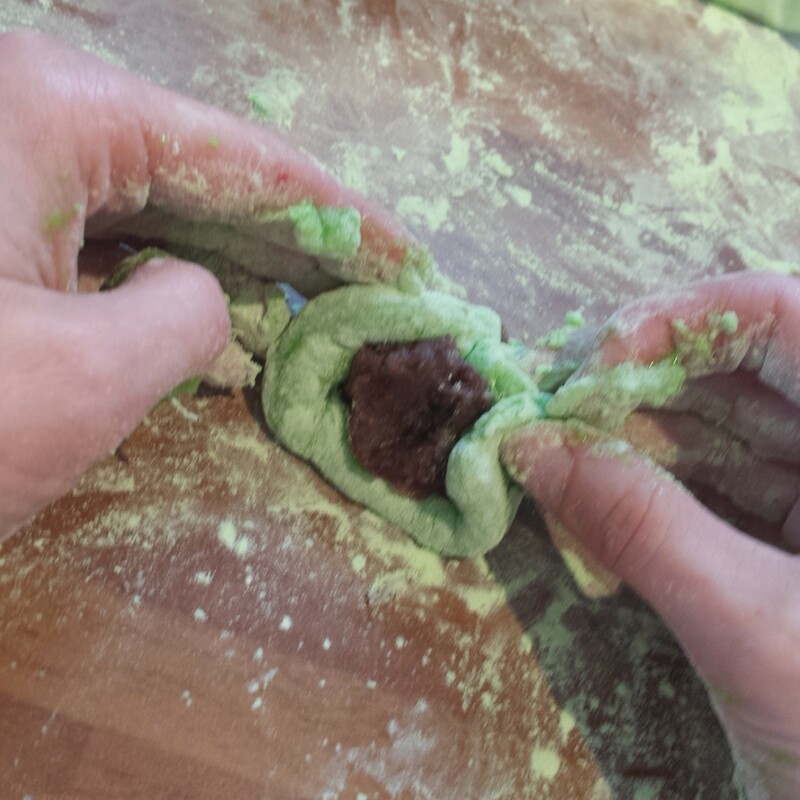 Dollop a nice large marble sized pea of red bean paste in the centre of your dough and fold the dough over the paste to seal it in. Turn the Mochi over and roll it in a cupped hand or on the work surface to encourage the sealed edge to stick together and create a smooth round finish. Roll it in a little more rice flour and pop it into a mini cupcake cake case. Roll and repeat until you’ve used all of your paste and dough! 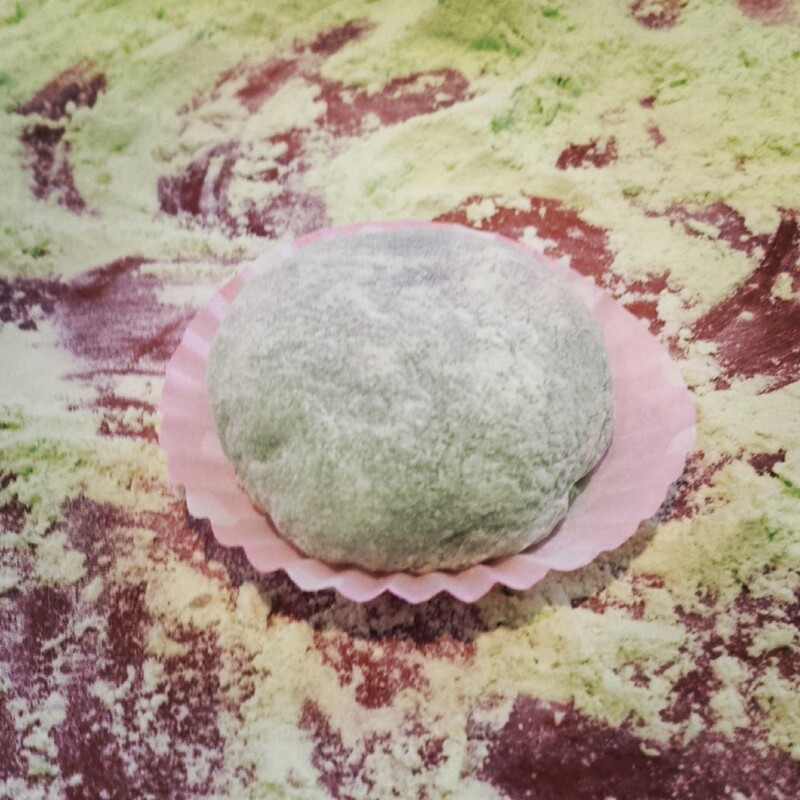 You could choose other pastes or ice cream to flavour your mochi with. Next time I’m going to try matcha ice cream centres! I had to make a second batch of dough as I’d been a bit too enthusiastic with my portion sizes first time round. My Mochi were more dough than paste which isn’t as tasty to eat. It could be the complex combination of it’s jelly like texture or the smooth savoury yet sweet paste filling that make Mochi so memorable. Or perhaps it’s the unusually satisfying bite that they possess. Once you’ve tried them I’m sure you’re going to want to try them and experiment with more flavour combinations. They’re small so you probably want to eat at least 2 in a sitting! A mouthful of mochi! Yum yum yum! This dough recipe was enough to make 16 small mochi. I had enough paste left to make another batch so made a second batch of dough. Good news Mochi are gluten free and low in sugar so they’re relatively health conscious snack or dessert too. It’s best to store Mochi in an air tight container. They will keep for a couple of days if you don’t eat them all straight away! 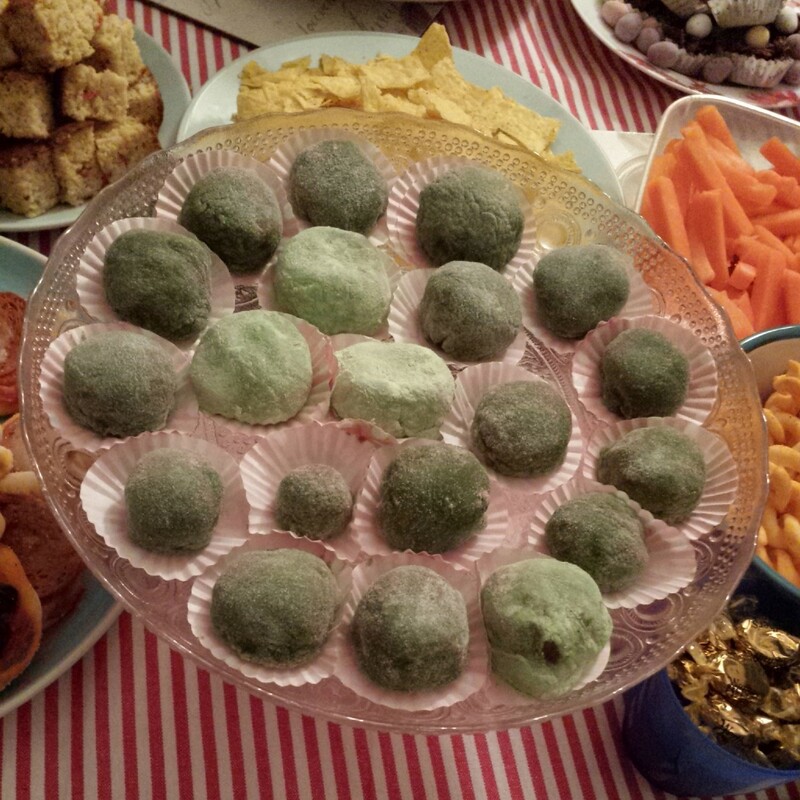 I made my Mochi to share with friends at out Confidential Canapé Collective which we hosted at my new house. I really enjoyed making and eating these little sweet treats. I definitely prefer my Mochi with matcha in the dough. It gives a richer yet subtle flavour whilst tinting the dough naturally with a dark green hue. I was surprised by how many disappeared that night and some friends even took a couple home for later. 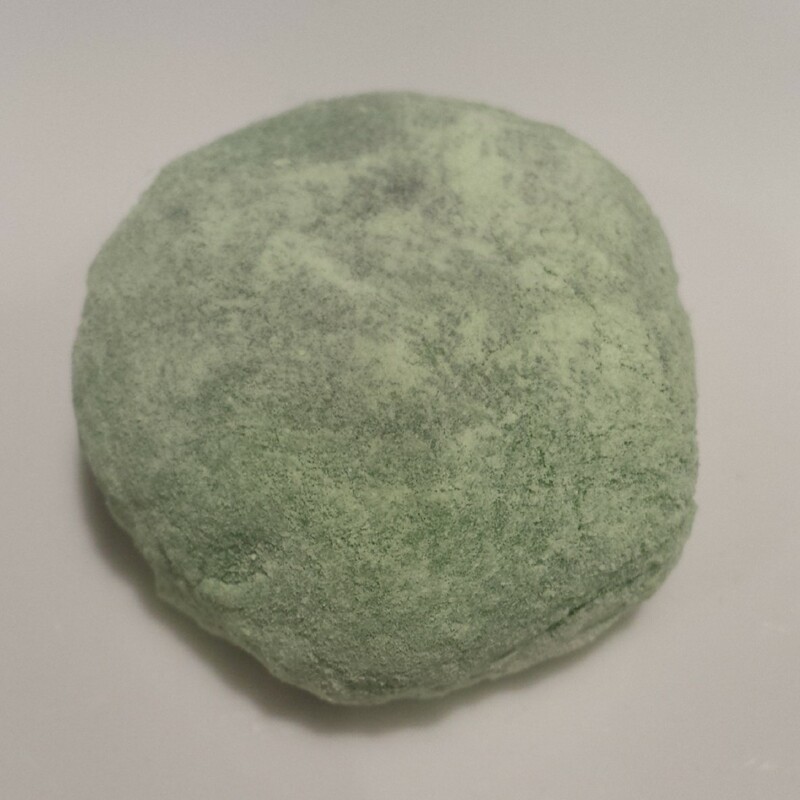 Therefore I can confidently declare my Matcha Mochi a success! I can’t wait to attempt Matcha ice cream next! Cover the beans in cold water and bring to the boil. Simmer for 2 hours til tender. Drain the water. Stir in sugar. Add half cup of water. Simmer til very soft and water is evaporated. Blend with hand blender to a smooth paste. 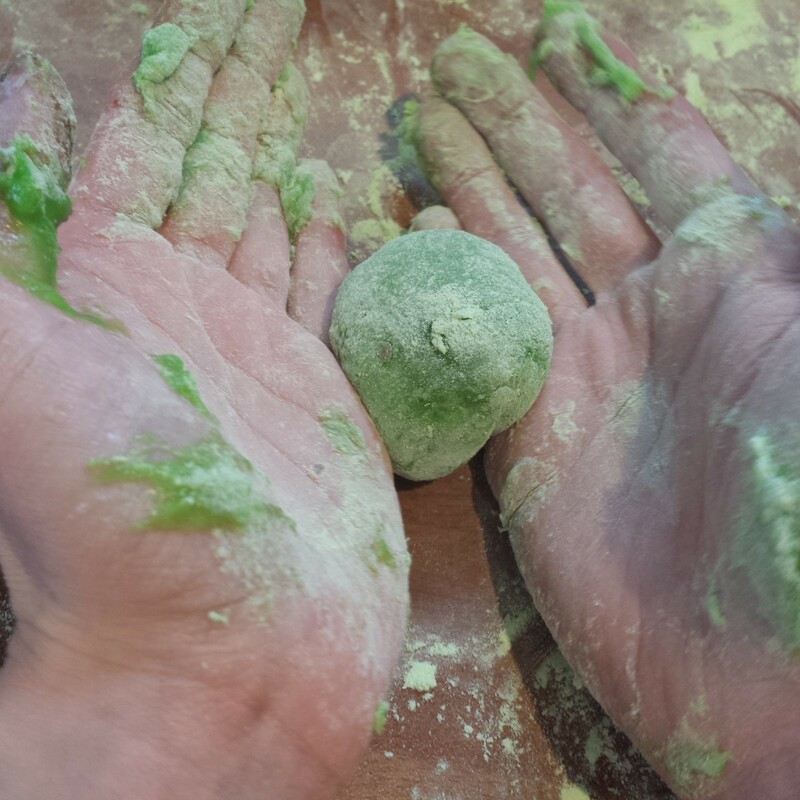 Turn the mochi over and roll in a cupped hand to seal the edges further. Love mochi, but haven’t worked up the courage to make them (I also don’t have a microwave so will need to find a … traditional method?). Am impressed you made your own red bean filling! So impressive that you made your own mochi! Can you get katakuri/tenpun starch (it’s a potato based starch that looks like cornflour but behaves differently) in the UK? I could send you some? I would love to collaborate with you some time! That would be fab! If you’re planning another trip to Asia at any point you could come and visit my little kitchen too (currently in the process of being made..eek)! That would be amazing! Please do let me know your ideas for collaborating! I would love to visit your kitchen too. Hopefully one day we will make it back to Asia! I will definitely let you know if we do!